Interested in running a Hadoop proof of concept on enterprise-class storage? Download this solutions guide to get a technical overview on building Hadoop on NetApp E-series storage. 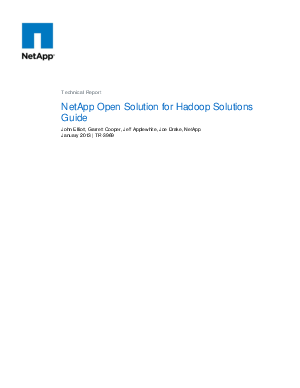 NetApp Open Solution for Hadoop delivers big analytics with preengineered, compatible, and supported solutions based on high-quality storage platforms so you reduce the cost, schedule, and risk of do-it-yourself systems and relieving the skills gap most organizations have with Hadoop. See how ongoing operational and maintenance costs can be reduced with a high available and scalable Hadoop solution.